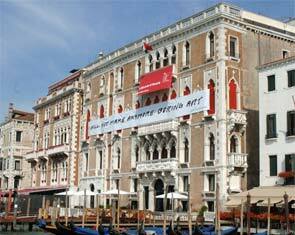 The Venice Biennale Arts Exposition is this summer!! 2011 is an odd-numbered year, which means that the Venice La Biennale will be underway in a few months. The VBA Expo is the celebration of several festivals rolled into one year. During the Biennale you can enjoy fine arts, architecture, film, music, dance, theater and so much more. This year will celebrate the 3rd Arsenale della Danza (17th January to 15th May), the 2nd Kids’ Carnival (26th February to 8th March), the 54th International Art Exhibition – ILLUMInations (4th June to 27th November), the 68th Venice International Film Festival (31st August to 10th September), the 55th International Festival of Contemporary Music (24th September to 1st October), and the 41st International Theatre Festival (10th to 16th October). Few Steps from Saint Mark’s Square and from Accademia, surrounded by the artistic beauties and by the peacefulness and quitness of an everyday Venice. A Historical Palace, once home of a known art collector, enhanced by art work of all ages and rich with ancient historical memories. A unique and unforgettable experience that will bring you back in time. The breathtaking view from the Terrace on the Grand Canal and the peacefulness of the Flat Roof (provided with Jacuzzi) are scenarios of incredible romance and beauty. Family run, wonderful staff, …in my opinion the best hotel in Venice.